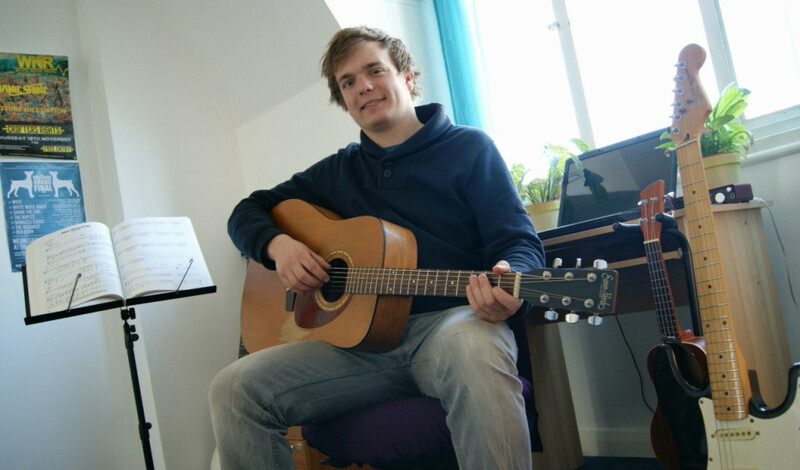 Hi, my name’s Ben – I know you’re here because you want to learn to play guitar: I’m here because I can show you how! I’ve been playing since I was a kid and teaching it my whole adult life, and I’ll show you the way to have fun whilst learning a great musical instrument! I have a degree from the prestigious Academy of Contemporary Music in Guildford but I teach the guitar in a way that brings it to life, not one obsessed with schoolroom theory! I offer lessons in acoustic and electric guitar, ukulele and bass, and I also offer tuition in music theory up to Grade 5 as well as modern recording techniques. I’ve taught many of my students through the RGT and Rock School grade systems at a variety of levels and every single one has passed with flying colours; some have even achieved near-perfect scores! I understand that grades aren’t for everyone though, and there’s no pressure on my students to take an exam they don’t want to. I love the Bristol music scene and you can often find me performing with my band “White Noise Radio” in and around Bristol. For more information and lesson pricing please visit my FAQ page, or to book a lesson just contact me! ✓ Sessions are available seven days a week, daytime + evening. Tuition Info and FAQ pages, take a free first lesson , or contact me.